We’re a purpose driven company, whose beliefs are reflected in the way we do business every day. At PayPal, we believe we are uniquely positioned to make a profound difference in our world by giving people more control of their money an enabling them to participate more fully in the global economy. Our success is result of the trust we have built with customers around the world. Maintaining that trust requires we operate with the highest ethical standards and do what‘s right. This is the guiding light for how we operate and is the foundation for our Code of Business Conduct & Ethics. Our Code of Business Conduct outlines our values and expectations for employees, including the legal requirements we must meet. PayPal has established the Office of Compliance and Ethics to champion our Code and ensure that we meet our shared commitments. In addition to setting policies for the company, the office also conducts formal company-wide trainings, including the annual Code of Business Conduct training required of all employees. A network of Business Ethics Officers around the globe is also available to provide guidance around PayPal’s compliance and ethics requirements, and if employees prefer, they can submit their questions or concerns anonymously through PayPal’s 24-hour Integrity helpline. PayPal is currently governed by an 11-person Board of Directors, nine of whom are considered independent under the listing standards of the Nasdaq Global Select Market. You can review the practices and policies that guide our Board here. As a mission-driven, values-led company, we’re dedicated to responsibly managing our environmental impacts. In 2017, we conducted a materiality assessment to identify the environmental issues that are relevant to PayPal and our stakeholders. Since then, we’ve worked to improve our environmental management systems and prioritize the areas where we’re best positioned to make a meaningful impact. Our stance on and commitment to environmental responsibility is further captured in our Environmental Policy. Information about our baseline footprint, impact reduction efforts to date, and commitment going forward are detailed in our 2017 Global Impact Report. 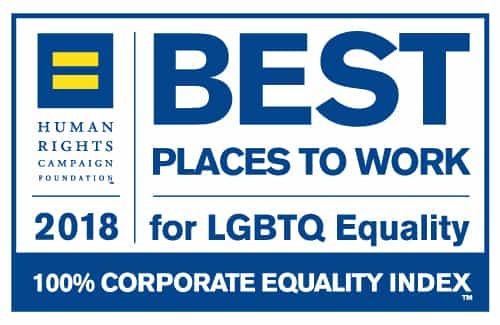 We strive to attract, recruit, retain and develop a diverse workforce that includes people of different ethnic and cultural backgrounds, gender and sexual orientation, veteran status, disabilities, and those who bring diverse thoughts, opinions, experience, and leadership styles to our team - and all other characteristics that makes people unique. We put our values into action by creating an inclusive workplace environment of involvement, respect, and connection - where the richness of ideas, backgrounds, and perspectives are cultivated to create business impact. Putting the customer at the center of everything we do, means we authentically connect to the global and diverse population we serve and advocate for inclusion in all its forms: global, financial, economic, technological, social and individual. The collective sum of the individual differences, life experiences, knowledge, unique capabilities and talent that our employees invest in their work represents a significant part of our culture and our success. We embrace these principles in all that we do, to deliver the best customer experience and make PayPal the best place to work. Maintaining the trust of our customers, partners and other stakeholders is critical for our continued success and growth. Protecting customers and their information is of the upmost importance to us. PayPal has a Global Privacy Team, headed by our Chief Privacy Officer, focused on our strong commitment to privacy across PayPal’s products, services and businesses globally. Visit the PayPal Privacy Center for more information. Our Information Security Team, led by our Chief Information Security Officer, is responsible for safeguarding the data entrusted to us, including by our customers and business partners. Visit the PayPal Security Center for more information. We’re committed to conducting our business with the highest ethical standards and expect nothing less from our partners around the world. Our Supplier Code of Business Conduct and Ethics outlines the requirements and guidelines we set forth for all suppliers, vendors and partners to ensure they reflect our values and operate responsibly. Our Code not only makes our requirements around business integrity and ethics clear, but also highlights our expectations relating to environmental responsibility and labor and human rights. These are the same standards to which we hold ourselves, as a leading company, accountable. And as we continue to grow around the world, it’s important to us that all our suppliers, vendors and partners do and reflect the same. PayPal’s 2017 Global Impact Report is the first comprehensive Environmental, Social, and Governance (ESG) report for our company. It reflects performance data and covers PayPal’s global operations for calendar year 2017. The information in this report spans four key priority areas: Environmental Responsibility, Social Impact, Employees and Culture, and Responsible Business Practices. As we continue to evolve our ESG efforts, we’re committed to sharing progress through subsequent reports and updates. We welcome feedback related to improving our ESG performance. Questions or requests for additional information can be submitted to ESG@paypal.com.